If your looking for a nature escape that’s still within reach of cafes, restaurants and a little boutique shopping then Mt. Tamborine might be just the place. 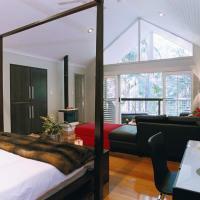 It’s located around 40 km inland of Surfers Paradise and has much to offer. The area is also renowned for its wineries and natural produce. 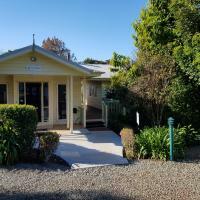 Some people may choose to take one of the many day tours that come to the area, if you have your own car it’s a worthwhile scenic drive and many choose to make this the base for their holiday at one of the many boutique guesthouses. There’s also a Rainforest Skywalk which is a steel walkway which weaves through the rainforest canopy affording a safe and amazing view across this natural wonderland. Explore the local specialty foods, wineries, and distilleries. The boutique bed and breakfast offers superb views from its rear deck and luxurious room appointments. 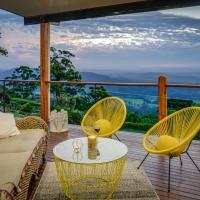 Located at the top of Tamborine Mountain, only 5 minutes’ drive from various wineries and markets, this cosy retreat offers both luxury spa cottages and queen rooms with en-suite bathrooms. There is a guest lounge with a wood burner and free WiFi access. 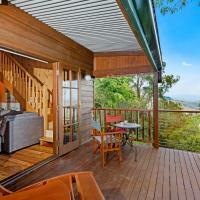 Featuring beautiful views of the Albert River Valley, The Polish Place on Mount Tamborine offers self-catering chalets with log fireplace and 2-person spa bath and free Wi-Fi. Songbirds Rainforest Retreat offers a unique combination of nature, luxury, and indulgence with a luxurious private villa for two in a 50 plus acre rainforest hideaway.